EVERY MONTH WE SEND OUT ONE MONTHLY GAMER PRIZE PACK VALUED OVER $250! HOW DOES THE MONTHLY GAMER WORK? Our Monthly Gamer subscription is available Worldwide! Automatic entry for our Monthly Gamer Prize Pack! Makes a great gift for your beloved Gamers! We want everyone to take part in our Monthly Gamer because we know it’s dangerous to go alone! We are currently shipping our subscription to any country with a mailbox. 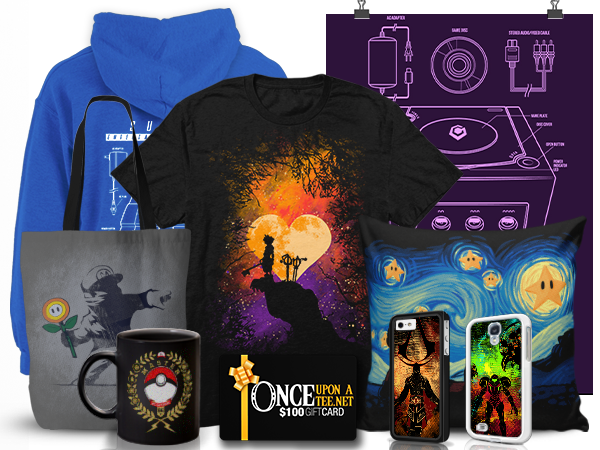 Every month a lucky member wins a “Gamer of the Month” package valued over $250 that features extra T-shirts, Hoodies, Gift Cards, Phone Cases and more awesome items. You are the most important part of our Monthly Gamer. If you’re not happy, we’re not happy. Write our Help Desk and we'll get back to you within one business day. But you're going to love it.